Welcome to the REACTION online demonstrations. We are hope you will enjoy working with our demonstrators and that they will provide inspiration and encourage you to seek more information about the project. We would like to hear your comments also. Click to see the demo. Pattern management is a systematic approach to help patients and health care providers to identify patterns in blood glucose readings to determine whether changes are needed to optimize their glucose control. 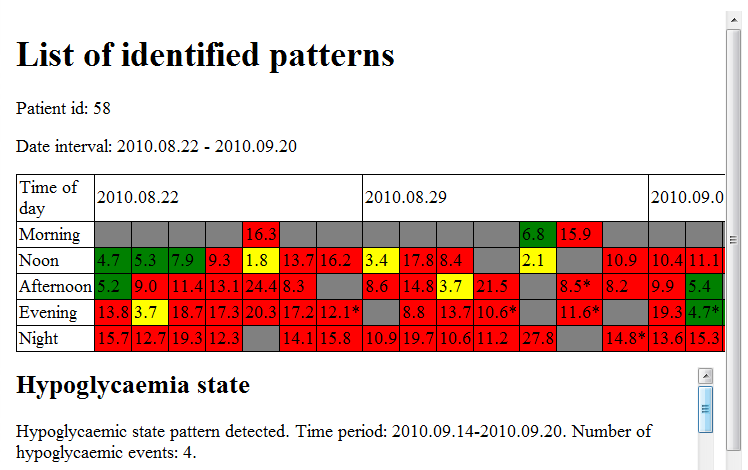 Enter a patient id, a date interval and click on the “Show patterns” button to see the list of identified patterns.